It has been 2 years since my Thinking About Supplements post. If you want to know why I have an anti-supplement bias, go read that post. Despite my bias, I have spent the last year trying many different supplements in an effort to reduce my headaches. Every single one of them turned out to be worthless. BCAA – I know Leangains loves BCAA (Branched Chain Amino Acids) as does my mentor Art De Vany. The most common benefit associated with BCAA is that it preserves muscle during fasted training. I was already highly skeptical before I listened to Brad Pilon on the Fat Burning Man podcast. He made a solid case that BCAA is absolutely not needed to prevent muscle loss during fasted training. Multi-Vitamin – I haven’t taken vitamins in a few years. My goal is to eat a nutrient dense diet with real food. But what if I couldn’t cook my own food? Would I take a vitamin? No. I think our understanding of nutrition is still in its infancy and trying to fool Mother Nature could have side effects. In episode 112 of the Paleo Solution podcast, Dr. Loren Cordain sounded the alarm about vitamins. Yeah, there’s a series of meta-analyses that have come out in the last — I want to say 2 to 3 years particularly from the Harvard group and others. And what we’re finding is that when we look at these enormous groups of people, 250,000 people and we look at mortality from all causes combined, what we find is that antioxidants and vitamins, B vitamins, beta-carotene, vitamin E, they actually increase the overall mortality. Fish Oil – After reading The Perfect Health Diet, I learned that many fish oils on the shelf are rancid. It is much better to just eat fish and do everything you can to reduce your Omega 6 intake (cut out the vegetable oils). Protein Powder – Pure garbage. The limiting factor in gaining muscle is not protein. It is calories. I only wish I have figured this out years ago. I’ll be doing a separate post on this topic. In the meantime, if you are a young ectomorphic male, don’t waste your money on this crap. Buy ice cream instead. I’m not kidding. Magnesium – So many smart people swear by Magnesium, so I take it. I’m using Glycinate, because Chris Kresser has gotten the best results with his clients using that form. Good enough for me. I feel no different when I take this and when I don’t. Vitamin D3 – I have my suspicions about our understanding of Vitamin D3, but I still take it occasionally in the winter months. However, my primary winter source of Vitamin D3 is fermented cod liver oil. It isn’t a supplement, but a real food. It also has Vitamin A.
Selenium – The Perfect Health Diet makes a solid case for Selenium use. Copper – Also recommended by The Perfect Health Diet. Creatine Monohydrate – Earlier this year I stopped taking Creatine for a few months. I wanted to see again if this stuff really worked. Well two weeks later and I’ve gained 4 pounds of “muscle”. Beefcake! L-Tyrosine + 5-HTP – I am currently working on improving my focus and mood. The book The Mood Cure suggests that based off my quiz results that I should be supplementing with L-Tyrosine and 5-HTP. I firmly believe in L-Tyrosine, which I posted about. I’m still testing 5-HTP. So far the one thing I’ve noticed with it is that my dreams are more vivid. I’ll report more on this in a future post. 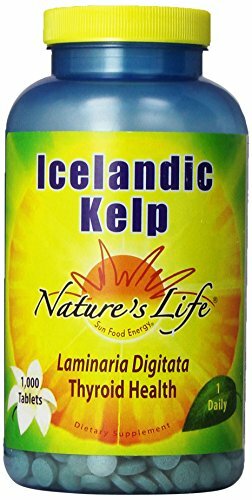 Icelandic Kelp Tablets – Sea vegetables are extremely healthy. This supplement is super cheap and is an excellent source of iodine. Gelatin Powder – I first bought gelatin powder to see if it could deepen my sleep. Although it didn’t make my sleep better, I could see how it could really benefit others that don’t regularly consume bone broths. For me I am using this supplement post-workout to see if I increase my recoverability. What supplements do you swear by? One supplement I didn’t list was a timed released Vitamin C. It may have merit or it might be harmful. I’m not sure. I take Rhodiola 100 mg. every morning. It increases my energy level and my focus, and it improves my mood significantly. It is supposed to have a lot of positive effects as an adaptogen, but there is no way for me to measure those or be aware of them. I feel much better when I take it. I tried L-Tyrosine for a while and while it seemed to work inconsistently, it had more side effects for me than Rhodiola. I also tried 5-HTP, but I could not tell that it had any effects. GABA gave me wild dreams, but nothing else that I could detect. I take D3 some in the winter time, and that’s it. I think I get enough Mg in the handful of nuts I eat a few times a week. Michael: that quote about protein powder was enlightening (and calories being the key to gaining muscle.) I’m not exactly young, but I am what you are referring to as “ectomorph.” Thanks for the heads up. @Becky – I did not know about Rhodiola, but I just spent 20 minutes reading about it. Looks fascinating. I will likely to testing it as well. Thanks for the tip. @Scott – I am cooking up a post that targets all the bad advice given to the skinny hardgainer. It may take a while though. I want it to be as complete as possible. So happy to see someone else doesn’t support taking mult-vitamins! Such a marketing con and completely unnecessary if you’re eating a healthy diet. You’re on a roll lately. I’d like to see Perfect Health Diet’s take on liquid fish oil supplements. I would think that rancidity would be more difficult to hide with those–although the liquid I take is lemon flavored. There seems to be much favorable research out there regarding fish oil, and I typically only eat fish once a week. I would add to my above comment that I agree with limiting omega 6’s as a first best strategy. I think for too long we’ve fallen for the old mantra of eat/do bad stuff and then undo the damage by eating or doing expensive/dubious stuff. Better (and cheaper) not to eat/do the bad stuff in the first place. @Jim – I agree with your assessment 100%. Instead of band-aid solutions. It is far better to just fix the problem. Do less. I started to lose faith in fish oil when I noticed many brands were packing it in soybean oil. At this point I only take Creatine before workouts and D3 in the winter. I used to be a borderline supplement junkie. Mostly because my job has the ‘perk’ of reps from vitamin companies more than willing to give me free samples of any and everything. These days I give them all away to co-workers and friends. I say borderline because I saw this piece on the PBS Newshour yesterday where futurist Ray Kurzweil is talking about technology being able to ‘indefinitely’ extend our lives. Long story short Kurzweil, who is undoubtedly super smart in many ways, takes 150 pills a day in the belief it is benefiting his health. Which, at least to me, is not so smart. By the way, I recommend New Chapters Rhodiola Force if you decide to give it a go. Two points- first I had the same calorie epiphany about 6 months ago. I had gotten significantly stronger in all the core exercises, but my weight was staying the same. I had been trying to eat more and thought I had, but then it hit me. Whenever somebody tells me that they aren eating next to nothing, but still keep gaining weight, I don’t believe them. Why wouldn’t it be the same in the other direction? I added more food (sometimes it feels like force-feeding)- ice cream included, and suddenly, my weight started going up. It has given me more sympathy for how hard it can be for some people to lose weight. Secondly, that point about Kuzweil is great. Check out some of the longevity websites and their discussions of their supplementation regiments. These guys are taking 100’s of pills and each one with some study to back it up, but obviously no idea of what the real effect all that junk is having on them. It’s just amazing. Healthy living requires some pretty simple rules, however hard it is to follow them. I live in Beijing which is, even to the naked eye, a very polluted city. The ex-pats here (justifiably) constantly complain about the air quality and some of them won’t let their kids go outside many days. But the bottom line is that the life expectancy of Beijingers is actually a little longer than the US as a whole. If it’s really so bad for health, that couldn’t be the case. We’re actually pretty resilient to outside stresses, diet and pollution included, so if nasty thick smog doesn’t kill us early, then it’s hard to see how an extra milligram of any supplement is going to make any difference in a generally healthy person. Focus on sleep, real food, exercise and stress management and relax about the rest of it! Earlier this year I had my omega 6/3 fatty acid profile tested using an Omega 3 Blood Test. The test website says that the best risk indicator of future heart disease is the omega 6/omega 3 ratio, and suggests that a 4:1 ratio of omega6/omega 3 is very, very good, 2:1 would be like our hunter-gatherer ancestors, and an omega 3 percentage of 8% would be ideal. Well, my 6/3 ratio was 1.8:1, that’s ONE-POINT-EIGHT-TO-ONE, and my omega 3 percentage was 13%!!! If anything, I might be taking in too much omega-3 fatty acids. So, when my last bottle of Green Pastures “Cinnamon Tingle” fermented cod liver oil ran out, I didn’t renew. Maybe I’ll test again in about 2 years. It took about 2 years of avoiding polyunsaturated oils and using CLO to get to this ratio. (I didn’t test at the start, I just assumed that omega 6 was high.) Heart disease is rampant on my father’s side of the family. Once the vitamin D and the zinc run out I won’t renew them either. I should get plenty from the food I eat. So if I had any micronutrient deficiencies from my previous ways of eating, this Supplement Everything Campaign has probably remedied them, and it’s high time to start phasing things out. @Aaron & @Karl – I lost a lot of respect for Ray Kuzwell after reading his nutrition book. Chock full of whole wheat low fat conventional wisdom. Maybe he has changed his thinking, but I believe his attitude towards nutrition is flawed. He assumes we have complete knowledge and treats the human body like a machine. The history of nutrition in the past 50 years has been “we figured it out” to “we were wrong” repeated over and over. Meanwhile traditional cultures thrive without the slightest knowledge of nutritional science. @Garymar – You made me realize something I should have added to this post. That is that if one does go down the supplement route, spending money on testing and not just guessing is advised. I think some future society is going to laugh at us for how we take supplements without collecting data. We are no different that the old time snake oil salesmen from the traveling medicine shows of the 19th century. 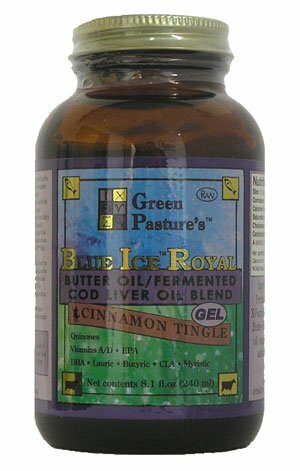 I have the Blue Pastures Butter Oil/Cod liver oil blend, I would like to know how much you take and how often. My bottle recommends two capsules a day, but I take one a day and lately intermittently. I think I read on someone’s website that they also don’t take the full dose and not as often as it is not necessary. I haven’t noticed any significant changes although it is supposed to be good for teeth and gums especially. My body doesn’t tolerate cod liver oil bought in capsules and in over the counter in most health food stores, so I avoid them generally. And I take them at night because I don’t feel good taking them in the day. Weird I know, but that must be part of my own body’s best natural absorbing state. It also may be that because I drink most of my coffee in the morning til midday-ish, my liver has recovered and tolerates it best at night. @Pauline – I only take the fermented cod liver oil in the winter, as it is expensive. I take a few teaspoons a week during the depth of winter. If I have been around people that are sick, I will add an additional teaspoon. Kefir. It is too early to tell but my digestion has improved. Because the fermented butter/cod liver oil is so expensive, does it stay fresh if it is bought and not used up? I think that was part of my reasoning once I got it – to use it up pretty soon after opening the bottle. Also the oil in my bottle (which looks similar to yours) is in capsules, is your bottle just pure liquid oil in a bottle? Just read up on your ferment oil/cinnamin oil gel. Looks like it is more economical to buy than the capsules. I chose capsules as I thought that would remove any taste problems. Have you found it has any after taste in the gel form? @Pauline – I have had the pepermint and the ginger versions. Both taste good to me. The foods are fermented and store well in the frig. I made it through The Mood Cure book and took GABA for about a month. I don’t know if it did anything, but I retested and no longer felt I was in that category. I also started taking L-Tyrosine, DLPA, and 5-HTP (yes, all four categories) and I’m definitely feeling a difference. I plan on following the book’s advice and evaluating once the bottles run out. I’ve also started taking fish oil and Vit D.
@Ali – I will be doing a post on 5-HTP and L-Tyrosine soon. Seems there are some safety issues that weren’t addressed in The Mood Cure. It is important that you ratio L-Tyrosine 10 to 1 with 5-HTP. (EX 500mg of L-Tyrosine and 50mg 5-HTP). I’ll explain more in a post will be out in the next week. I’ll have to check my doses. Thanks for the update and I look forward to your full post! MAS, thank you for your experiments and disciplined approach, it is really great to see your progress! I want to start fasting (once a week) but at the same time wish to increase my muscles through HIT and creatine load. Do you think fasting and muscle growth get together well? Have you tried not to fast for a, lets say, a month while going HIT? @Iskander – I would do your fast the day before your HIT workout. On the day you lift, eat above baseline. One mistake I made in the past was fasting after an intense workout. There I lost strength. Every other combination has worked fine for me. Don’t over think it. Just run your own experiments. Body type, age and training age are much more important variables. Vit C, Vit D, K2, Magnesium, Iodine, Whey, mwf: multi-vit/CoQ10. Vit C – still taking 500-1000mg/day, supposed to help w Asthma. But i’ve read of some elite 800m runners and sprint cyclists who are now taking very small or zero amounts because too much Vit C triggers an epigenetic switch that prevents adaptation to high intensity training. No longer a concern for me, but interesting. so I take K2 in the winter as well. April blood test was 43 ng/ml, awaiting summer test results. I still take whey protein, not as a supplement, but as part of a quick meal, and because I feel guilty being responsible for killing animals. Eggs and dairy make me too phlegmy (asthma). I’m assuming a cow strapped to a milking machine for 4-5 yrs is happier then a 2 yr old waiting in the slaughterhouse. Trying to find organic whey. Also take CoQ10, which of course Mercola sells. However there are numerous scholarly articles showing it greatly reduces mortality in heart patients, ameliorates side affects from statins and reduces BP. I have none of these problems yet, but my parents do. Am weening off multi-vits, taking them MWF. I think they mess up the delicate yin/yang balance of nutrients but they were expensive so want to finish off the bottle.